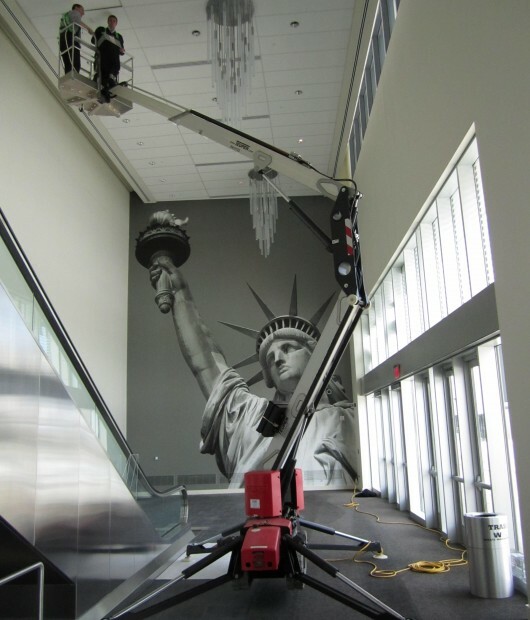 Aerial lift and scissor lift operators are expected to do plenty of tasks, usually all in the same day. Versatility is one of those attributes that set some aerial lift employees apart from others. The ability to multitask with different jobs, using different equipment, makes anyone a more valuable employee or job candidate! Likewise, the more things an aerial lift can do, the more valuable it is to a job, company, or project. While some aerial lifts are designed for basic elevated work situations, others are called on to go where no other aerial lift has gone before. Some also need to do what no other “normal” aerial lift is designed to do. 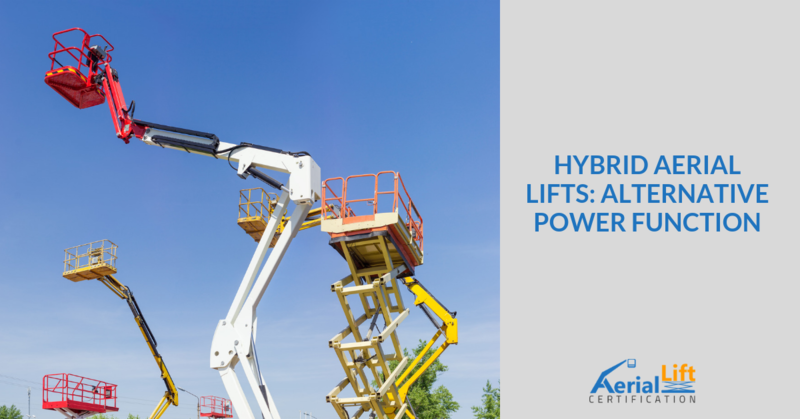 Welcome to the world of hybrid aerial lifts – from alternative fuels, multi-tasking and more, today’s aerial lifts provide a surprising amount of can-do function, along with eco-friendly attributes. But most of all, the aerial lifts we’ll feature include hybrid capability and outstanding versatility. We wanted to show some examples of different hybrid aerial lifts. These machines come in handy for just about anything and sometimes on non-traditional power sources! Our OSHA compliant training gives you the skills, knowledge, and confidence to operate any type of AWP, including the specialized hybrid lifts we’ll learn about in a minute. Spider lifts provide the access of traditional aerial lifts with the stability and sure-footed grip of machines much larger. The Teupen® Leo Series of spider lifts are one of the best hybrid-type aerial lifts available anywhere. Used for everything from construction to painting to maintenance and more, this is one of the most popular hybrid lifts. Two power sources are always better than one. That’s the design inspiration behind today’s hybrid scissor lifts. Many well-known manufacturers are firmly in the hybrid scissor lift market today, with new models coming out practically every month. These lifts have an added safety bonus, too. If the primary power source fails or is no longer available, no problem – the secondary power source kicks in! A true hybrid powerhouse, electric boom lifts are now considered one of the premier hybrid boom lifts. They’re used for all sorts of activities, and their reliability has improved since they first became widely available a generation ago. 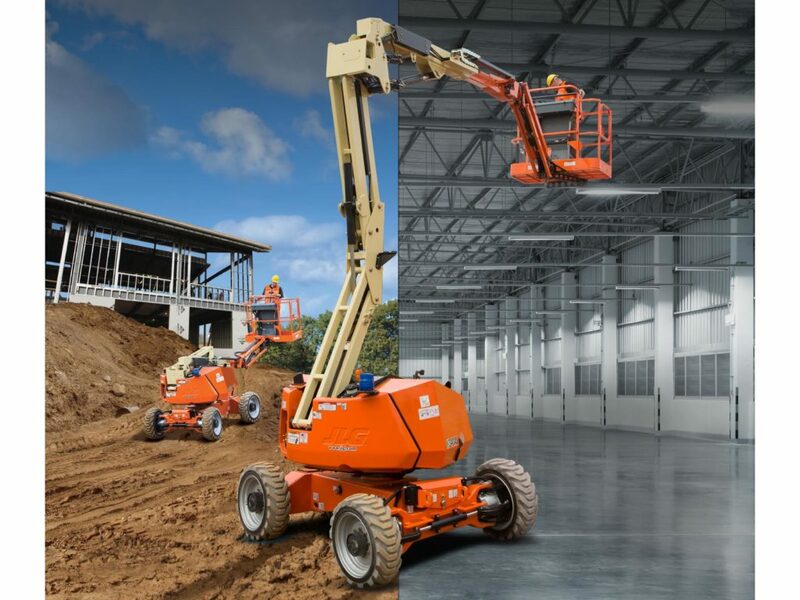 JLG’s electric boom lifts have earned praise for their “green” operating attributes, not to mention a multitasking factor that’s hard to top. We mean this literally, as some of their lifts are among the tallest in the industry! Sometimes, you just need an AWP that does everything. The Yale AEREO™ offers a zero degree turning radius, super-dependable operation, and excels in multiple work environments. This award-winning AWP is a hybrid function standout. It is also loaded with premium safety and comfort features. Here’s another way to look at versatility. From an employment standpoint, whenever you have the most recent OSHA compliant training, that’s a big plus in an employer’s eyes. Whether you’re operating the latest spider lift or have experience with hybrid operating lifts, AerialLiftCertification.com has the training to keep you on the employment radar. For employers, our training helps any employee become OSHA compliant. With affordable prices, lifetime support, and in-house OSHA expertise that’s hard to find, ALC would love to be your aerial lift training source – sign up today! For any questions about our training courses, give our OSHA compliance experts a call today at 1.888.278.8896.